I've been volunteering in my free time again for the international indie games company Freakout Games on their new title Solbot Energy Rush released for Android and iOS. The position involved black box testing the game on Android platforms. 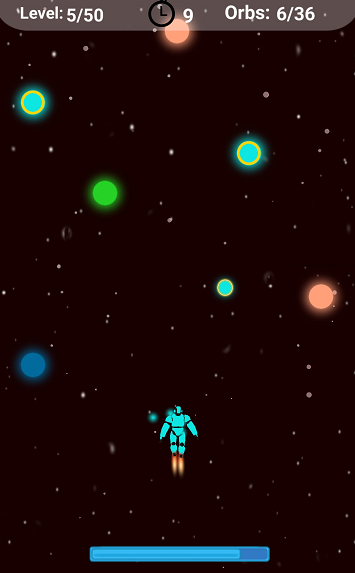 In the game you play as the robot Solbot who is on a mission to collect renewable energy resources in space. During the test cycle it was essential to ensure everyone was working off the latest game build. Another tester and I worked together to accurately record issues through an online system by eWorkplace Apps. I would record issues with clear steps to reproduce them and attach any relevant evidence to support the report. Within the game I also had to keep an eye on things such as the various power ups working correctly and that any information links about renewable energy worked correctly.